Heal the Bay is an environmental non-profit dedicated to making the coastal waters and watersheds of Greater Los Angeles safe, healthy and clean. Imperial Beach, Coronado and all San Diego Beaches Included in Report. 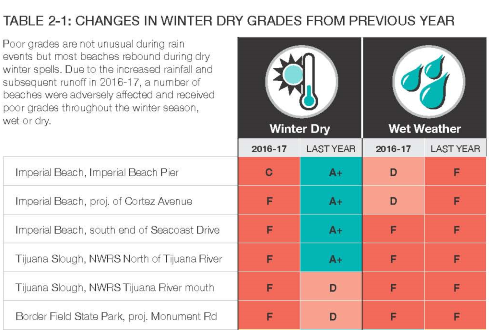 (Note: You can download and/or read the complete report by clicking on the PDF File above or going to Heal the Bay’s 2016/2017 Annual Beach Report Card. I've pulled a couple of pages that would interest people in Imperial Beach, Coronado and South County. Page 10 (directly below) and page 53 (below page 10) both pages 10 & 53 include information on Imperial Beach & the Tijuana Sloughs. Page 53 includes information on coronado and the Silver Strand as well as beaches just to the north. 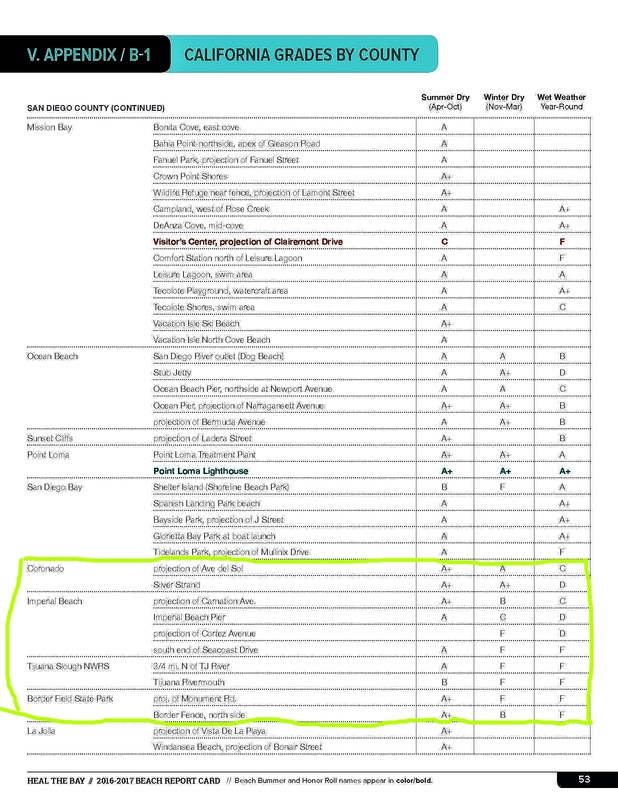 Please remember You can download and/or read the complete report by clicking on the PDF File above the article, just below the photo or going to Heal the Bay’s 2016/2017 Annual Beach Report Card.